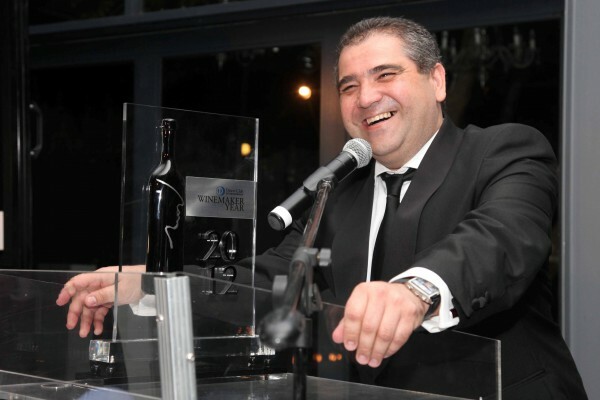 Diners Club is proud to announce the Winemaker of the Year 2012 - Razvan Macici - from Nederburg Wines, for his Private Bin Eminence 2007. 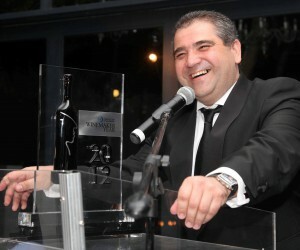 Arguably the most coveted wine awards in the industry, the Diners Club Winemaker of the YearAwards have now been running for 32 years. Razvan Macici, a Romanian native, was not only granted the honourary title, but also received recognition and top honours for two additional wines -Winemaster’s Reserve NLH 2010 and 2011 – a record first in the history of the competition. Following many years of experience in the wine industry across Europe, Macici moved to South Africa in 1997 and was appointed, four years later, to oversee production of a multi-tiered range of specialist, micro-vinified wines; as well as mainstream and lifestyle wines for Nederburg Wines, which are sold locally and internationally. Also announced was the Young Winemaker of the Year Award, which encourages and inspires young winemakers to achieve greatness. Anri Truter from Beyerskloof was awarded this prominent title for his 2010 Diesel Pinotage, following in the footsteps of his father, Beyers Truter, who won Winemaker of the Year in 1987 for his Kanonkop Pinotage. The art of viniculture evidently comes naturally to Anri, who started working at a very young age, assisting in the vineyards, cellars and tasting rooms of Kanonkop, where he was raised. Diners Club Winemaker of the Year Awards rank among the most sought-after and well-respected wine industry competitions, aiming to recognise excellence in wine production. This year (2012) marked another first for the Awards, as it was the first time the dessert wine (unfortified) category was selected as the judging criteria.